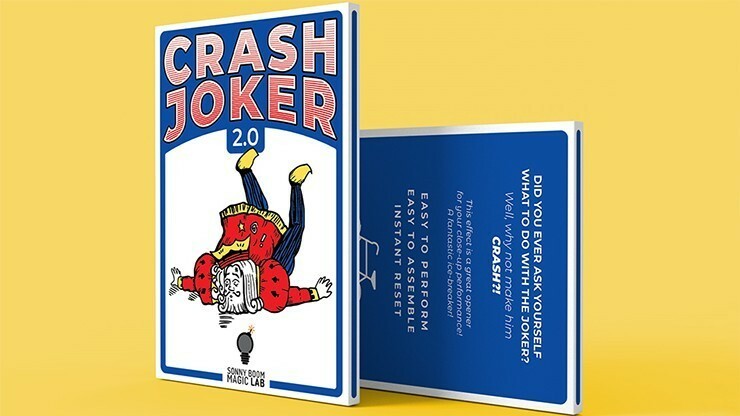 Do you ever wonder what to do with the Joker? 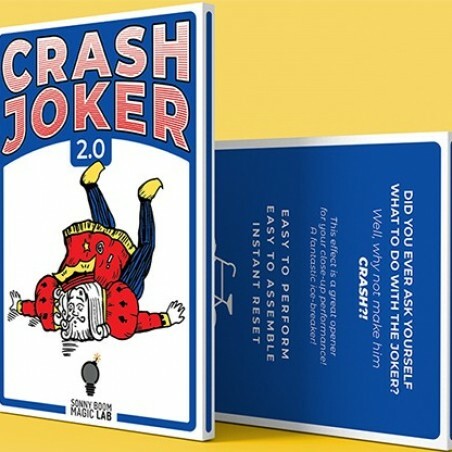 Why not make him CRASH! 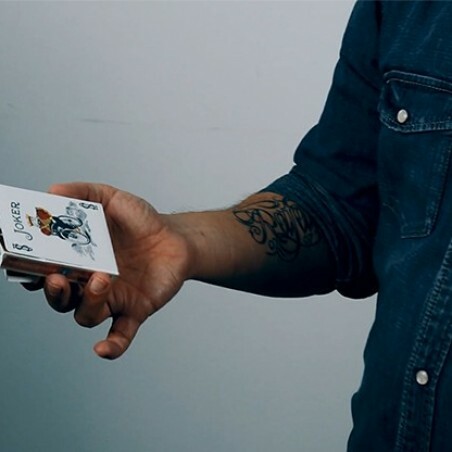 The magician shows the Joker card behind the cellophane of the card case. 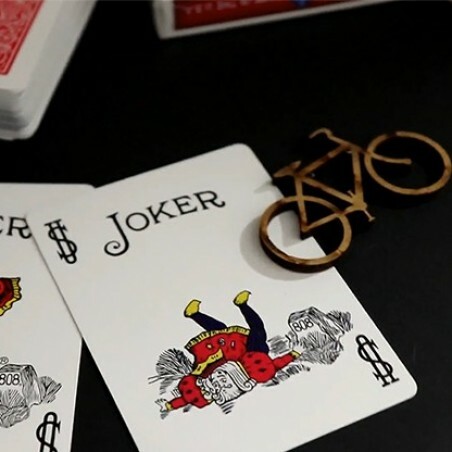 He claims that he doesn't like to mix the Joker with the rest of cards. In fact, he really doesn't like the Joker. At a moment's notice, the magician takes the Joker from behind the cellophane, gives it a strike, and BAAM! 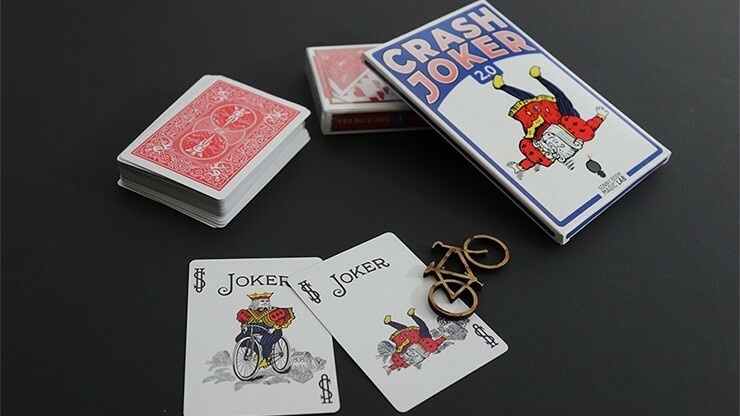 A small bicycle falls from the card, and when he reveals the card, the bicycle has vanished, and Joker has fallen onto the ground! This effect is a great opener for any close-up performance. A fantastic ice-breaker! 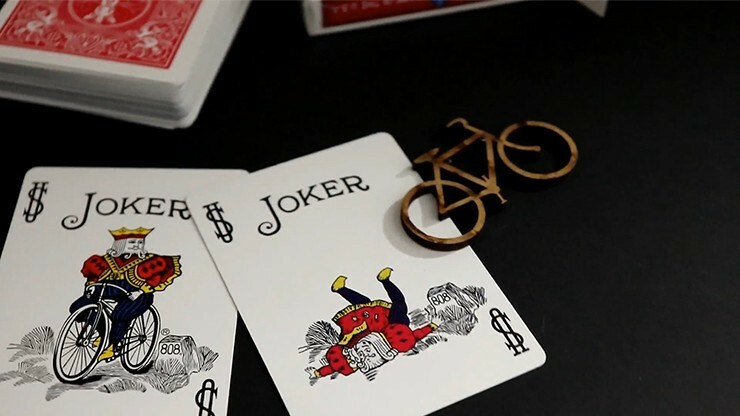 Generates laughter and amazed reactions! - Easy to perform -- it takes only a little practice. - Assembly takes a few minutes but after that, the effect can be repeated as much as the performer wants. - Set-up between performances is instant, so ideal for strolling, table-hopping or restaurant magic. 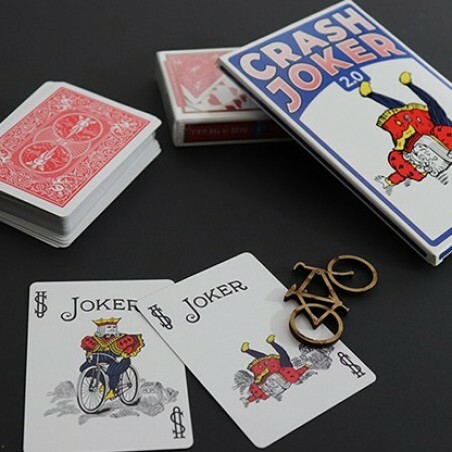 - The deck of cards has no connection with this trick, so you can have your normal deck of cards inside the card case and perform your usual card tricks. - Can be done at the beginning, middle or at the end of a performance. 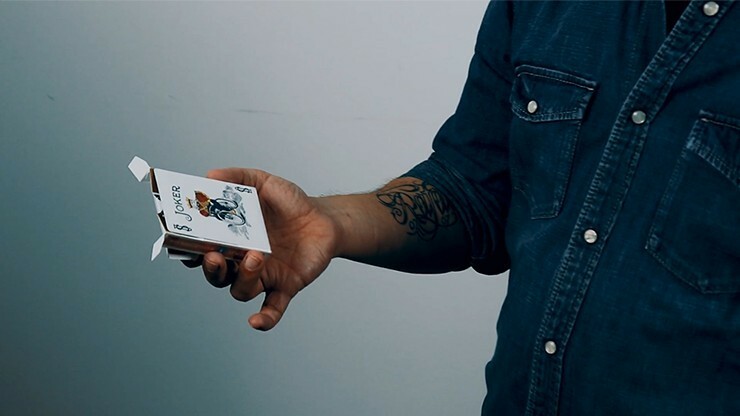 All is self-contained on the card case. 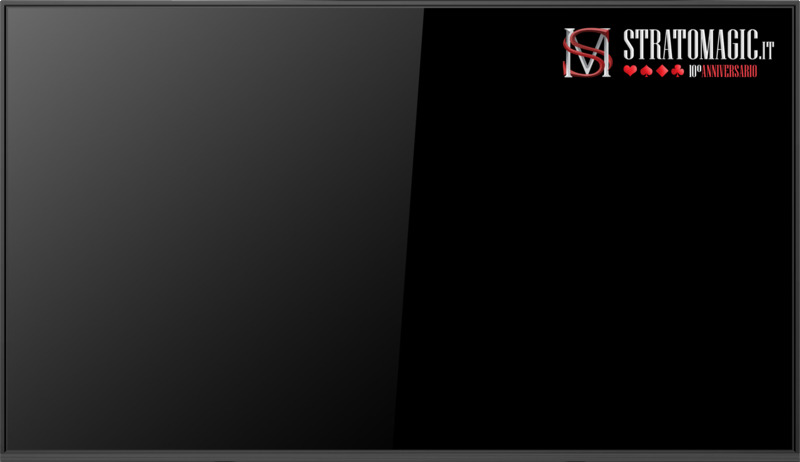 - Additional presentation ideas are given in the online instructions.